Indian Red Cross Society, India since 1998. Indian Animal Welfare Association, Govt. of India, since 1998. Advisor, Research Board of America. American Biographical Institute, USA, 2001. Youth Hostel Association of India, since 2014. Society of Fisheries and Life Sciences, College of Fisheries, Mangaluru, Karnataka. DKM/S-47/SFLS/JFLS/194/25-03-2017. Vijnana Bharati, C-486, Defence Colony, New Delhi, 110024. Membership ID 1591/24-05-2017. International Honorary Scientific Committee, International Scientific Symposium MONACHUS, Constanta, Romania. 2016.
International Organizing Committee Member, International conference on Applied Zoology September 18-19, 2017 At Toronto, Canada. International Honorary Scientific Committee Member, International Scientific Symposium MONACHUS, Constanta, Romania. 2019.
International Organizing Committee Member, Global Biotechnology Summit, December 01 & 02, 2018 at Washington DC USA. Fellow of Environment & Social Welfare Society, Khajuraho, India. April 30, 2006. Fellow, Institute of Applied Sciences, Allahabad, July 31, 2011. 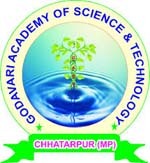 Fellow, Society of Life Sciences, Satna Madhya Pradesh. February 02, 2015.